Your customer support portal is the customer facing identity of your company, and as such, we at Trakdesk have made it a lot easier and convenient for you to manage all of your brands or products under one helpdesk account. With Trakdesk Multi-Brand support, you can create a customer support portal for each of your brands or products. Each portal can be completely customized with its own URL, logo, colors, theme and assets. Additionally, you can create separate support email addresses, announcements and knowledgebase containers and articles for each portal, allowing you to tailor your support level for each of your brands or products. 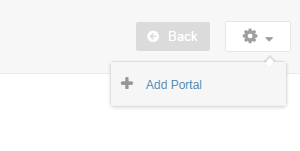 At the Top Right of the page, click on the drop down menu and select Add Portal. On the add portal page, enter a name, description and domain for your brand. You will also need to select a theme for your customer support portal and setup a default language. Note: You must create the proper CNAME DNS record for your portal domain and point it to your Trakdesk domain, example (acme.trakdesk.com) before the new brand can be created. Your system administrator knows how to do this. 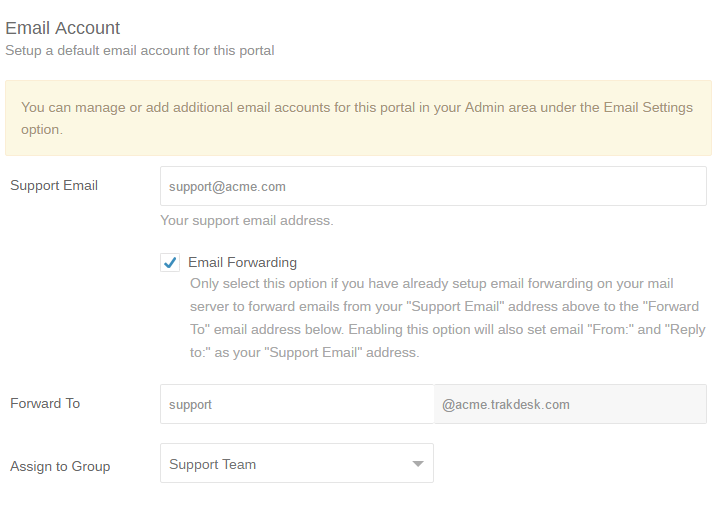 To setup, enter your support email address, example (support@acme.com) and an alias for your Trakdesk elastic email account (Forward To), example (support) for support@acme.trakdesk.com. Additionally, you can assign a default agent group and enable Email Forwarding to use your support email address to send and receive emails from your helpdesk. Note: Once the new brand has been added, an email account verification email will be sent to your Support Email address. You will need to click on the link in the email to complete the email account verification process. Finally, upload a logo and favicon for your brand. 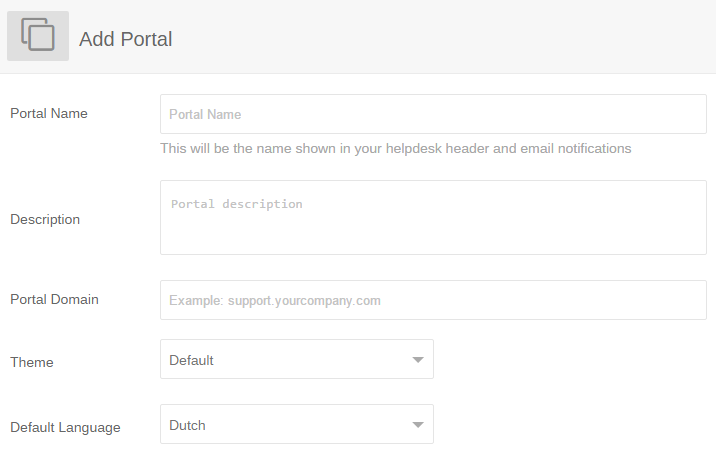 You can also design your helpdesk and customer support portal with your own colors and font. Once you are finished customizing, click on the Submit button to add the brand. Your new brand and portal has been setup and can be accessed via the portal domain you entered earlier.